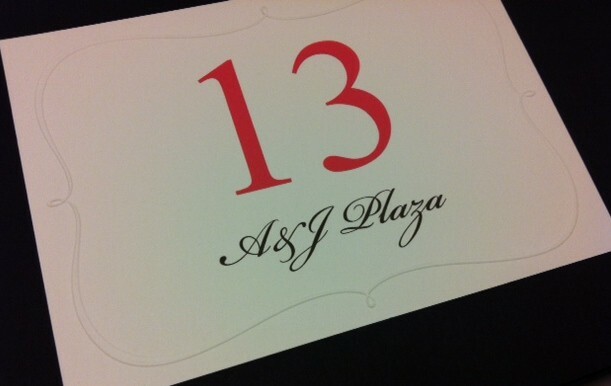 The above Wedding Table Number is in Red ink with the name of the venue printed below the number in scrip font in black ink. 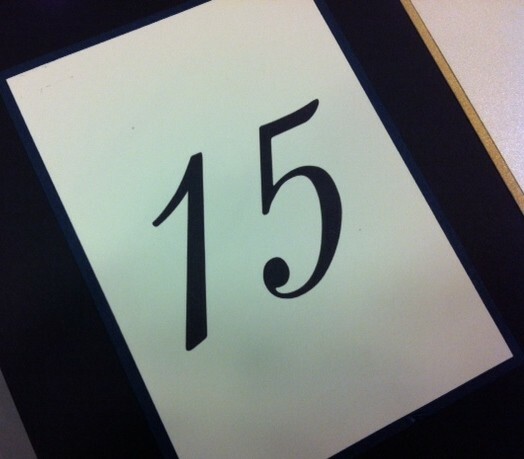 The above table number is black ink with blue borders. 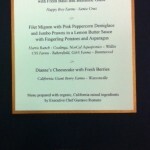 When planning your wedding, create Elegant, Stylish, Wedding Table Numbers like the ones I show above. 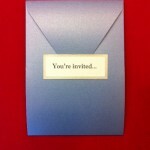 Layer your cards one on top, use shimmery stocks and beautiful fonts to match your wedding theme, colors and style! 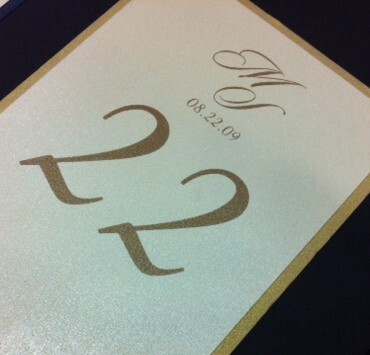 To see more of our Wedding and Special Event Calligraphy please our Calligraphy and Envelope Calligraphy Samples for beautiful, elegant calligraphy results.